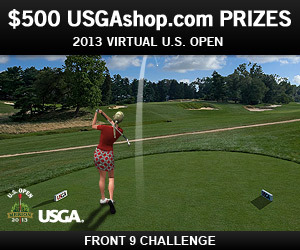 Play this year's Virtual U.S. Open Front 9 Challenge on World Golf Tour for a chance to win $500 USGAshop.com prizes. Two players will each win $500 gift cards to USGAshop.com, one to the player with the top leaderboard score, and the other to a lucky sweepstakes winner chosen at random. This tournament is open to WGT players in all countries. As part of the 2013 Virtual U.S. Open on WGT, the Back 9 Challenge on Merion will be coming in April, and the full 18 hole stroke play course on Merion will be available in May. It all leads up to the real event hosted by the USGA at Merion in June, which is the fifth U.S. Open at Merion, including the famous 1950 comeback victory by Ben Hogan. 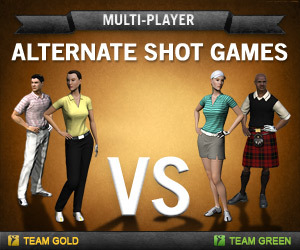 One of the most popular and fun multi-player golf games on World Golf Tour is Alternate Shot, called Alt Shot by most players. Here are some game tips to help you get started playing Alt Shot games on WGT. ALT SHOT – Alternate Shot games are where two-person teams take turns hitting each shot until the hole is finished, much like the rotation when you’re playing a game of billiards. If you hit the first drive on a hole, then your partner will hit the next shot from where your ball landed, then you will take the next turn from where their ball landed, continuing until the hole is finished. TEAMS – You can either organize your own Alt Shot game or join one on WGT. You will either be placed on Team Green or Team Gold. Alt Shot is best with friends, many players have a weekly virtual tee time to connect online and chat while they play. ORDER – The players that tee off first for their team will tee off on the odd-numbered holes (1, 3, 5…), and their partner will tee off on the even-numbered holes (2, 4, 6…). You will hit from the tee box that matches your tier. For example, if you’re an Amateur, then you’ll tee off from the front tee box, but your Legend partner would tee off from the back tee box. This helps keep the match fair. BALL – When it’s your turn to hit, you will use the golf ball that’s currently equipped in your inventory, and your partner will be using their own ball as well, so your ball only accumulates hits from the shots that you take. SCORING – Alt Shot has the same scoring rules as Match Play games, with the lowest score on each hole winning, and ties don't carry to the next hole like with Skins games. And since you don't post a full score, Alt Shot games do not count against your scoring average. CHALLENGES – You currently cannot play Alt Shot games for WGT Credits, like you can in Match Play, Skins and CTTH Challenge games, but let us know if you'd like to see that added in the future. For more game tips from the WGT community, be sure to visit the Forum. 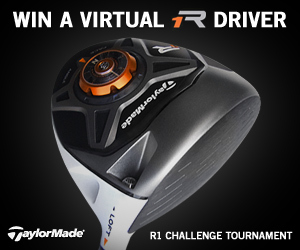 This is your chance to get the newest virtual driver to hit World Golf Tour, the TaylorMade R1 driver. Enter the free WGT R1 Challenge tournament and post your best score for your chance to win. The top score per tier each wins a free virtual R1 driver. *This tournament is open to WGT players in all countries and runs now thru 3/31/13. Putting is a challenging part of golf to master, and virtual putting on World Golf Tour is no different. We've put together some putting tips from top players to help you read the green and improve your virtual putting game. PUTTING TUTORIAL - For a good general overview, check out the WGT Putting Tutorial video in the game or on YouTube here. REVERSE VIEW - Click the arrow in the bottom right corner to change between regular and Reverse View. Use this camera angle to look at your shot from behind the hole. This will help you read the slopes on the green and aim your putt more accurately. GRID COLOR - Pay attention to the colors of the putting grid. The brighter the color is, the more significant the change in elevation. MOVING DOTS ON THE GRID - The moving white dots along the lines on your putting grid tell you the direction of the slopes on the green. The faster the dots are moving, the bigger the break is, so the ball will roll faster over those areas. POINTER MEASUREMENTS - The pointer also tells you how much uphill or downhill slope the putt has, so you can adjust your power. GRID SQUARES - Each square on the grid represents 2 feet x 2 feet. PUTTER PAL - Many WGT players swear by the Putter Pal that displays below the swing meter with 10%, 25%, 50% and 75% marks to help you select the precise power on every putt. TAKE NOTES - Just like when you're playing the real golf course, if the green, breaks, putt, etc. didn't do what you expected, take notes for what to do differently and improve next time. 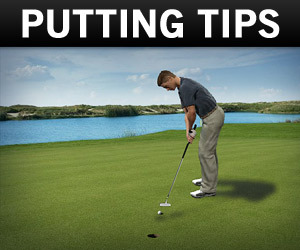 For more putting and game tips from the WGT community, be sure to visit the Forum. 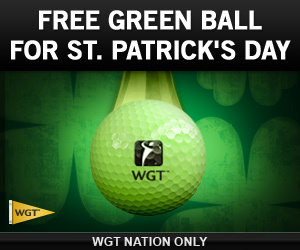 WGT NATION, get one FREE green vapor virtual golf ball just for playing World Golf Tour today, St. Patrick's Day. We want to thank you for being a NATION member, so enjoy this free gift that we hope brings the extra distance, and spin brings you a little luck of the Irish. WGT NATION is a free program for top WGT players. Learn more and see if you're eligible here, and contact us anytime with questions on our Contact Page. *Special offer available to WGT NATION members who log in on 3/17/13, receive one free WGT Tour GI-SD Vapor Ball. 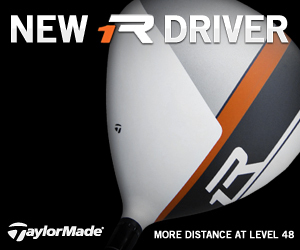 The hottest driver on the PGA Tour, the TaylorMade R1, is now available to play on World Golf Tour. The R1 is a great all-around driver with more distance and forgiveness from the new clubhead and the specially-tuned shaft. You can also play in the new WGT R1 Challenge golf tournament on WGT for your chance to win a free R1 Virtual Driver. Post your best score in this unlimited-play closest-to-the-hole tournament on Wolf Creek and the best score in each tier will get a free virtual driver. See rules for details. Play one of the most famous golf courses in the world, free on World Golf Tour in this month's Pebble Beach Challenge featured tournament. This closest-to-the-hole tournament has beautiful ocean views to keep you company while you challenge your virtual golf skills. The course is one of the latest on WGT, and features iconic shots including the par-3 7th hole. There's a new featured WGT course every month, so be sure to check back for new challenges. 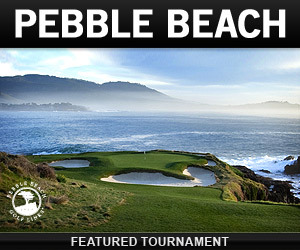 And for advanced players, play Pebble Beach in paid Ready-Go tournaments. Ready-Go's are quick, fun tournaments on WGT limited to 50 players each, with the top 30 scores winning WGT Credits, and there's always one available. *The free, monthly tournament runs now thru 3/31/13, see rules for details and eligibility. 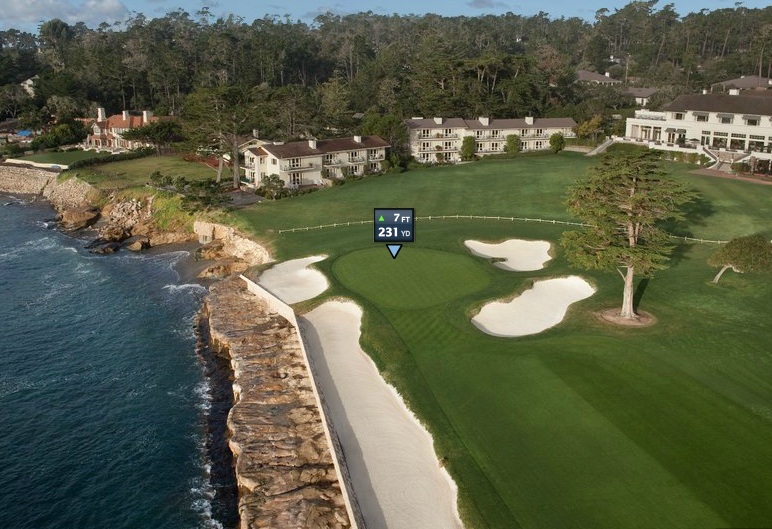 Pebble Beach is America's top-ranked and most famous golf course. 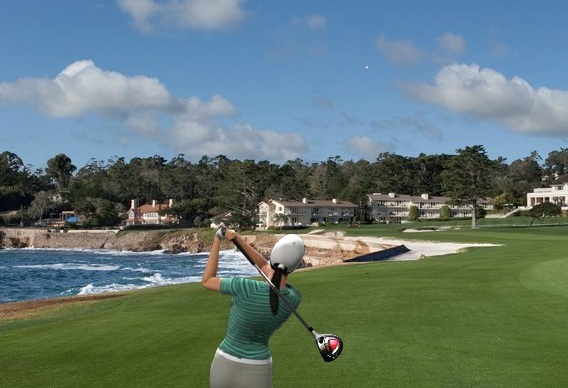 The famed Pebble Beach Golf Links golf course is the most recent addition to World Golf Tour, now available as a free closest-to-the-hole online game. The closing hole at Pebble Beach is a golfer's dream. It literally leaves you breathless, then you're faced with a daunting drive over the Pacific coast. Aim for the lone tree and don't hook it. The second shot at this par five is no easier with ocean and bunker down the left. You can bail out right or just go for it. At age 60 and in his last U.S. Open, Jack Nicklaus went for it with an amazing 263-yard, 3-wood second shot that found the green. His difficult three-putt spoiled a magical ending, but still an inspiring shot from one of golf's greats. You can try a similar approach shot on Pebble's 18th closing hole, free on World Golf Tour. WGT Hole 18 Tip - Aim and adjusting for wind are the keys to threading this shot between the bunkers. 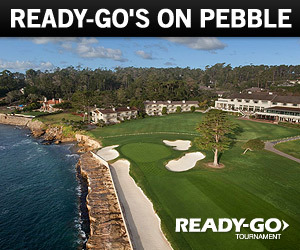 You can sign up for World Golf Tour here and play Pebble Beach, St Andrews and other famous golf courses free online. 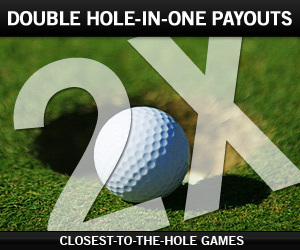 For one day only, on TUESDAY 3/12, we're doubling the payouts for Hole-In-One Challenges on World Golf Tour. Try your luck in closest-to-the-hole games to make a hole-in-one, or land the ball within 1 or 5 feet of the hole, and you'll earn twice as many WGT Credits as usual. Many of the holes now pay out over 100 to 1 for a hole-in-one. Hole-In-One Challenges are available on the tee shots on any closest-to-the-hole WGT golf course, excluding Merion. Since we introduced Hole-In-One Challenges, WGTers have been winning and earning WGT Credits for their impressive shots. See winners and video replays here. *Promotion runs Tuesday 3/12/13 PST. Hole-In-One Challenges are available on WGT closest-to-the-hole course tee shots only, excluding Merion. All countries are eligible except three U.S. States: Montana, Tennessee and Vermont. 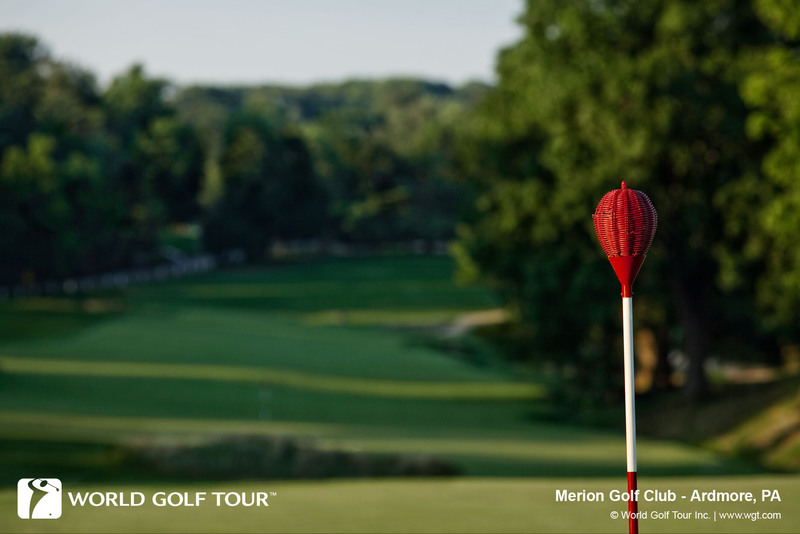 Merion Golf Club is the site of the 2013 U.S. Open and the course just launched on World Golf Tour as part of the 2013 Virtual U.S. Open. One of Merion's most memorable features is their flagstick baskets, which are wicker baskets that are used instead of traditional flags. Snack Packs – Stories say that the baskets were introduced so that caddies could store fruits and other snacks while walking the golf course, and keep them out of greedy little critters' paws. Wind-less Challenge – Some say the purpose of the baskets is to avoid giving players clues about the direction of the wind. And others say the baskets make it easier to see where the hole is, in case the wind was blowing and making the flags hard to see. Something Borrowed – Did Hugh Wilson, Merion's course designer, get this idea from his visit to the Sunningdale Golf Club in England on a trip in 1910? Or maybe the Stoke Poges Club or Prestwick in Scotland? We love Merion's wicker basket flagsticks, and it makes you wonder what other unique flagstick designs are out there.